← SHOTTSMAN comes with ‘TWO BIG SOUND: 7 Nights a Week! 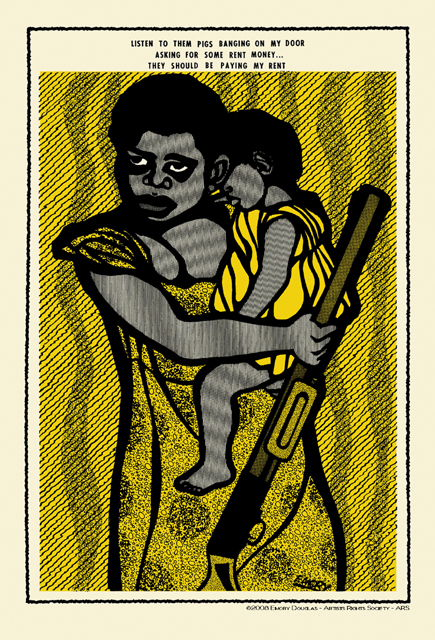 TRUE TO THE CYCLES OF INNER CITY deprivation, alienation and rebellion, the exhibition and book launch for ‘Black Panther – The Revolutionary Art of Emory Douglas’ took place in the shadow of our own inner cities being set alight following the shooting of a young black man by armed police. 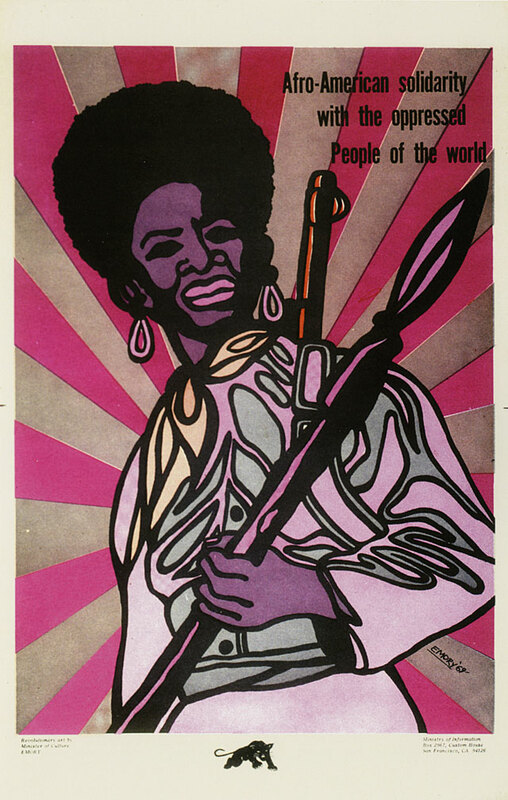 Back in late Sixties, like countless others around the globe, I was mesmerised by the imagery, the language, the militancy and sheer front of the Black Panther Party. The demand for Black Power went global when Tommy Smith and John Carlos took to the rostrum at the 1968 Olympic games. In Manchester, where I was living back then, the Twisted Wheel regulars – mostly working class white kids – were inspired and in solidarity took to wearing black leather driving gloves! 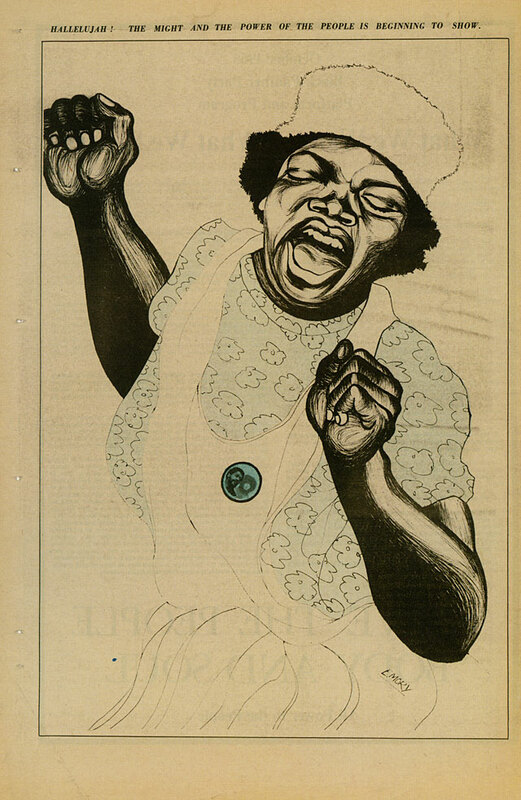 Soul music and Black power became synonymous. However, while Curtis Mayfield was inspirational and inclusive nothing prepared this kid for the fiercesome onslaught that burst from the grooves of the Last Poets ‘This Is Madness’. 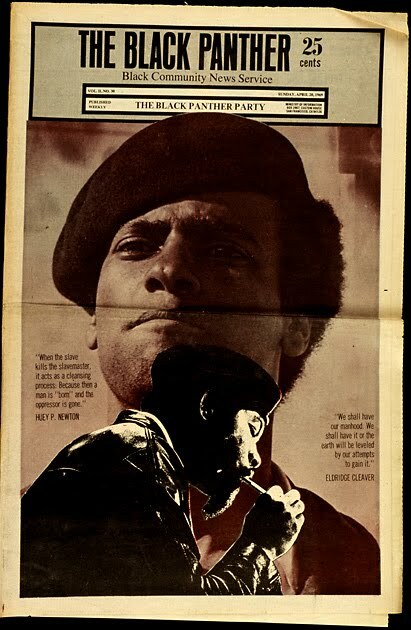 That said, with the benefit of hindsight I can refer to the opening pages of Bobby Seale’s book ‘Seize The Time’ where he describes sitting in the car with Huey Newton listening to Bob Dylan singing, “something is happening and you don’t know what it is, do you Mr. Jones?”. That was exactly it. I didn’t really know what was happening and I needed to find out. I was no reader at that time but I consumed Seize The Time, Eldridge Cleaver’s Soul On Ice, George Jackson’s Soledad Brother, Angela Davis’ If They Come In the Morning and Ralph Ellison’s profound Invisible Man. I don’t pretend that I understood all of what I read but it left me teetering on the edge of another world. In the “Land of the Free” the legacy of slavery and white supremacy was running amok and the Panthers were on the front line. Their stance certainly shifted my world view. I became politically aware and active. 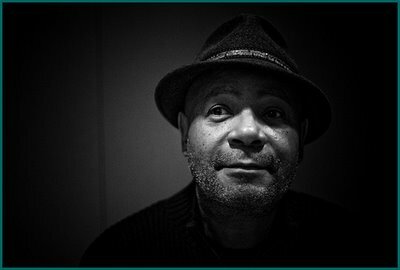 So, meeting Emory Douglas – the Black Panther Party’s Minister Of Culture – was, for me, a poignant moment. It was the chance to have a short reasoning with the man himself, offer recognition of the high price they paid and thank him and his comrades for providing a source of inspiration that continues to resonate today. 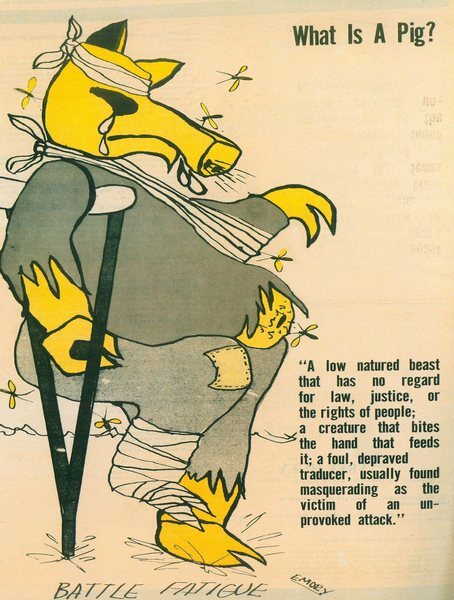 For just over a decade Emory was in charge of the Black Panther newspaper, which at its peak in 1970/71 had a huge circulation (Emory est. 400,000 / FBI est 139,000 copies). In the midst of a struggle that resulted in beatings, arrests, imprisonment and the deaths of his comrades he produced a steady flow of artwork that in the words of Amiri Baraka, “functioned as if you were in the middle of a rumble and someone tossed you a machine pistol… it armed your mind and your demeanor”. In the early day, with the publication of each paper his images were fly posted throughout the Bay area. They were intended to educate and inspire people to action, to draw people into the breakfast programmes and the anti-imperialist struggles. 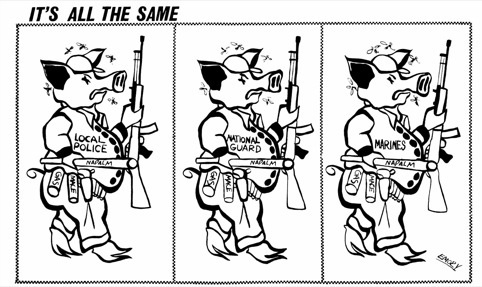 One thing is for sure, his depictions of the police as Pigs made him a prime target. The book is skillfully and lovingly edited by Sam Durrant. Emory’s work is, by today’s standards, lo-fi and, in my opinion, all the better for it. Like the artwork of Lemi Ghariokwu, who did Fela’s album covers, the hands-on nature of its production adds to its immediacy and physical power. 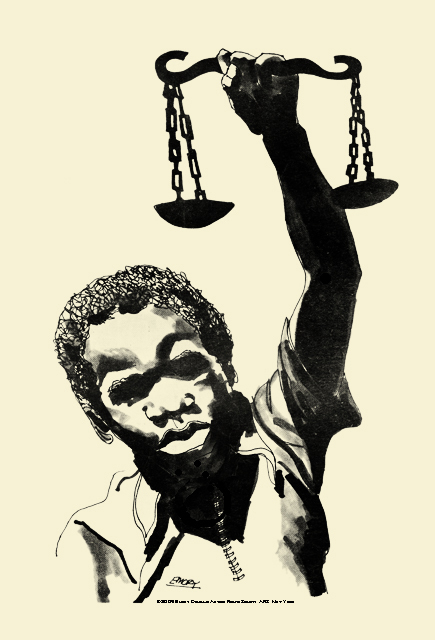 These pieces exude urgency, insight, anger, pride and a total disdain for the power structure. And there are a lot of them. The words commissioned from Bobby Seale, Kathleen Cleaver, Danny Glover and Amiri Baraka amongst others, illuminate the context in which this reputedly quiet man but fiercely talented man emerged. 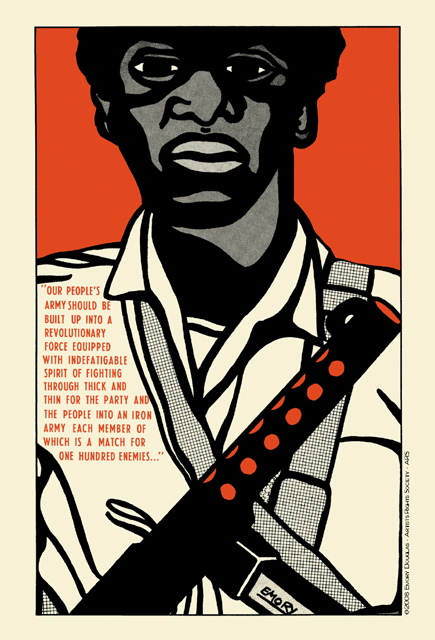 Emory Douglas’ weapons were pens, pencils, biros, markers, screen prints and as the Panther era is reappraised within history it is fitting that his art is deemed as significant as the pump action shotguns that appeared when these African American citizens took up their constitutional rights to bear arms. 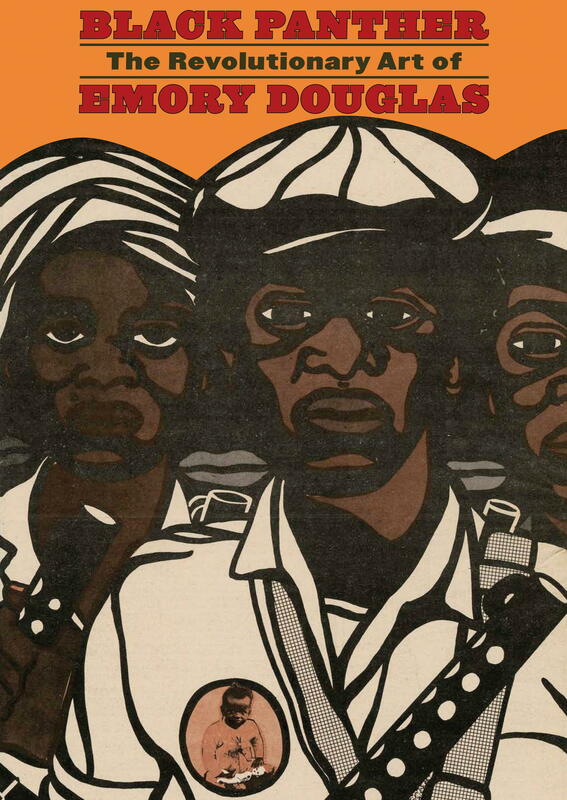 In 2011, I give thanks for the revolutionary art of Emory Douglas and its continuing resonance in a world that suffers from the same ills and remains a turbulent and murderous place. This entry was posted in Deep stuff and tagged Amiri Baraka, Angela Davis, Art, Bay Area, Black Panther Party, black power, Bob Dylan, Bobby Seale, Danny Glover, Eldridge Cleaver, Emory Douglas, George Jackson, Huey P Newton, Kathleen Cleaver, Last Poets, Lazarides Gallery Soho, Lil Bbby Hutton, Off The Pigs, Revolution, Rizzoli International Publications, Sam Durrant, Seize The Time, Soledad Brother, Soul On Ice. Bookmark the permalink.